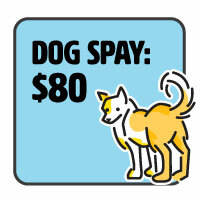 Providing low-cost and no-cost spay and neuter vouchers takes a community-wide effort. Thanks to generous donors across our community like you, we are able to fund this vital service. 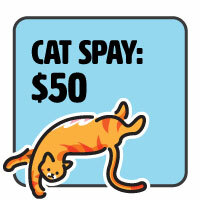 When you help spay and neuter a dog or cat, your gift doesn’t just help that pet, but also the number of unwanted animals that would have resulted from unplanned pregnancies. 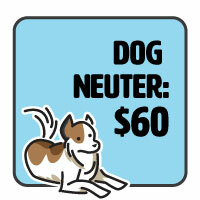 Join Be the Solution in our mission to end pet overpopulation and prevent the cycle of suffering for unwanted pets living in shelters and on the street by becoming a sustaining member of our Spay/Neuter a Month Club. 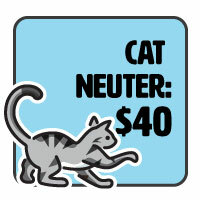 With a monthly, tax-deductible gift, you can help us provide low- and no-cost spay and neuter voters for families who cannot afford it. Download the flyer to share with your friends. Planned giving is a wonderful way for you to leave behind a transformative legacy that ensures the long-term success of the nonprofit Be The Solution, Inc. 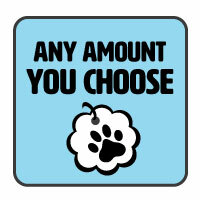 It ensures that our goal of ending Pet Overpopulation will continue even after you are gone. With your estate plans or bequest, you are sustaining the future of an important part pet welfare organization. Create your own legacy of giving by including the nonprofit Be The Solution,, Inc., in your will, trust, or general estate plans. Personal property or assets which are directed by the provisions of your will. This may be property worth a specific amount, a percentage of your residuary estate, or made contingent on other qualifying factors. Appreciated securities such as bonds, stock, or mutual funds. Retirement assets, insurance policies, and savings accounts. If you have already included Be The Solution, Inc. in your will or estate plans, or would like more information, please email bethesolution.inc@gmail.com or call us at (850) 545-2043. All inquiries about estate planning, planned giving, legacy gifts, etc., will be handled confidentially and do not obligate you in any way.